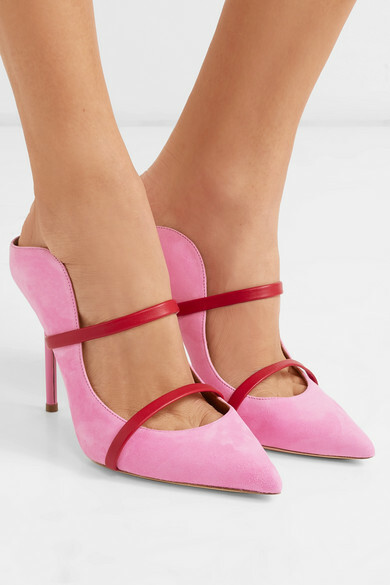 Malone Souliers' shoes are always beautiful and little details you can't see make them even more so. These 'Maureen' mules have been handmade in Italy from pink suede with red leather straps. The soles are cushioned and elasticated beneath the bridge to prevent the 'slapping' sound you so often get when walking in backless designs.